After finishing my biostats exam, the last exam of my second year at uni, I am immediately off to the airport, flying to Hawaii to meet mum for a little island holiday in Lahaina. It has only been 6 months since we last saw one another, but excitement levels are still high (mum cried when we met at the airport in Maui). In with mum’s suitcase is the GoPro dad bought me for Christmas, and I am absolutely dying to get into the water and test it out. 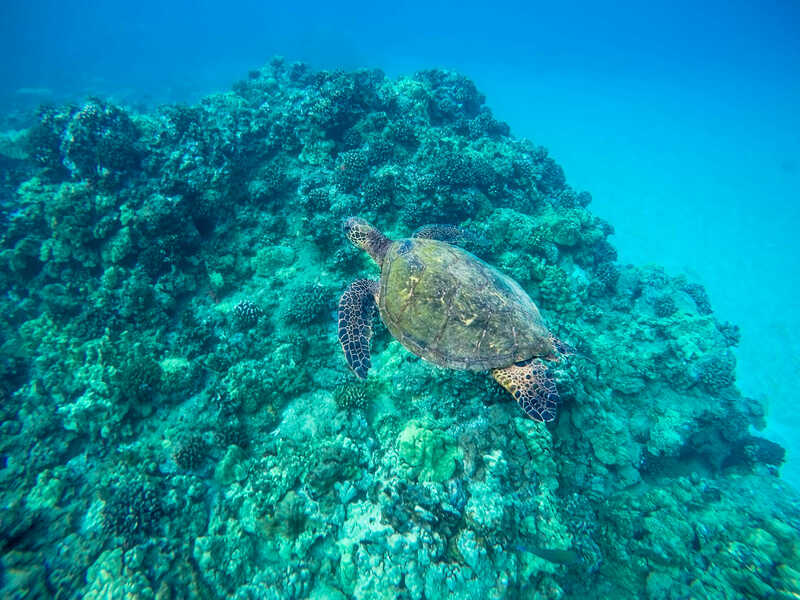 Naturally, I want the first video I take to be something amazing, so I google “turtle beach maui” and the first, and very official looking, result is Maluaka Beach. We rent snorkels from my long-time favourite, Snorkel Bob, and set off one morning in search of turtles. We are in the water for about an hour when we first arrive at Maluaka Beach and not a single sea critter (save for some small fish) is swimming about. I am feeling incredibly defeated, but the water is actually a bit rough, so we duck out for lunch and come back in the afternoon, efforts redoubled to see turtles. This time, it takes all of 10 minutes to spot the distinctive flap of little turtle wings in the distance. Before I know it, I’m totally surrounded by turtles, and the best part is that no one else is even in the water. Somehow, we’ve managed to score the beach to ourselves and all the turtles, too. Next ArticlePhoto journal: adios, South America. Thanks for the tan.